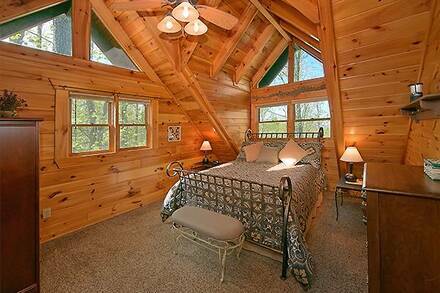 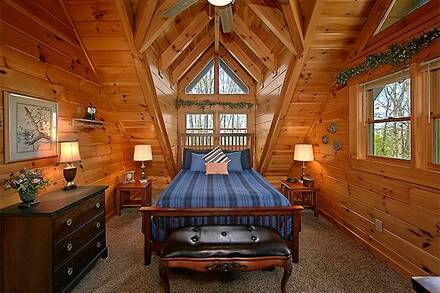 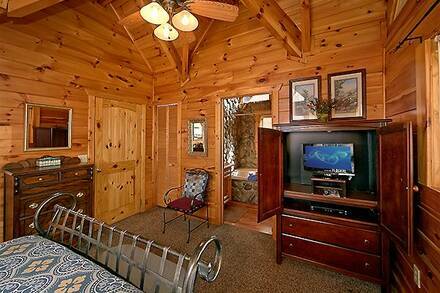 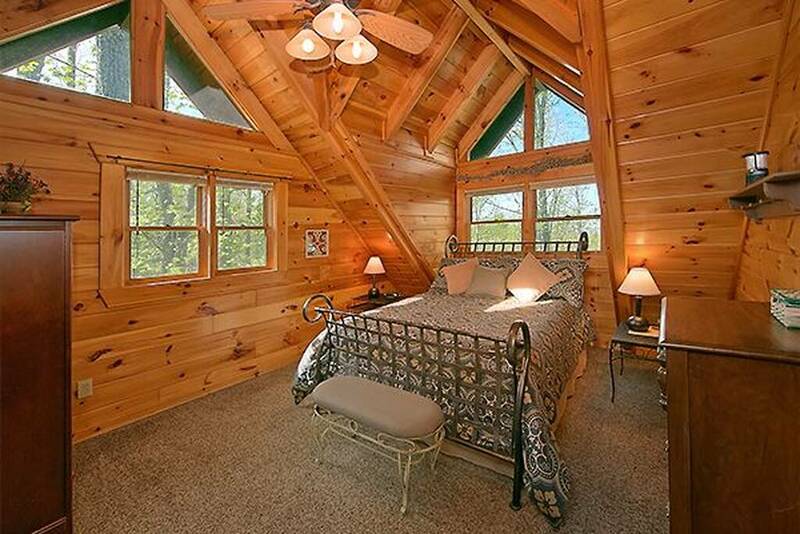 You will want to wake up in the soft morning light at Rise N Shine, one of the most eye-catching three-bedroom cabins in Pigeon Forge. This gorgeous log cabin has three dormer windows above a wide front porch, with its green roof giving a pop of color in the pictures you are sure to take. 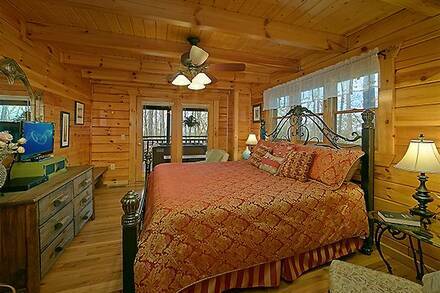 Its interior will wow you as well, so book now before someone else beats you to it! 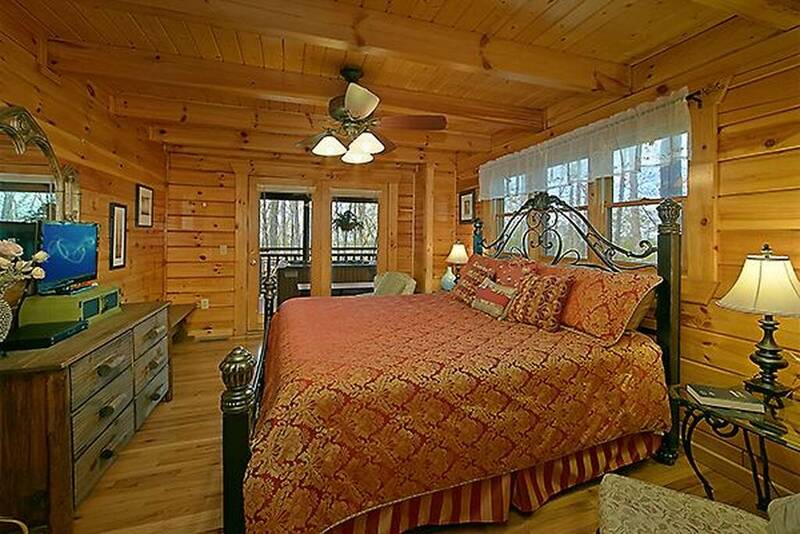 After a busy day hiking in the Smokies or enjoying the rides at one of several Pigeon Forge amusement parks, you will look forward to coming back to this gorgeous spot. 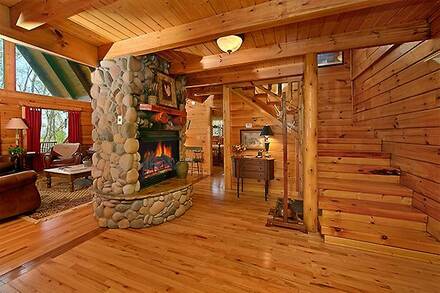 Prop your feet up in the living room on its comfortable leather couches and enjoy its amazing fireplace. 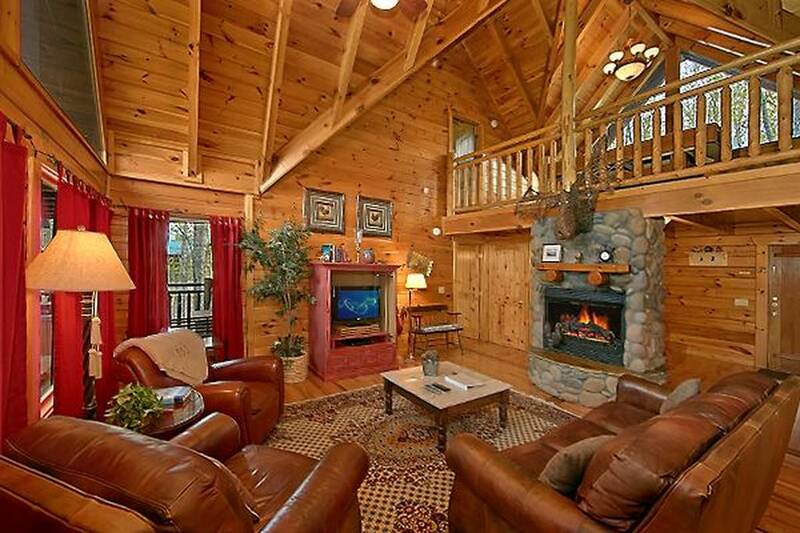 Set in smooth, rounded river stones, the fireplace takes center stage in the cabin and, rightfully so: it is one of very few two-sided fireplaces in the Smokies! 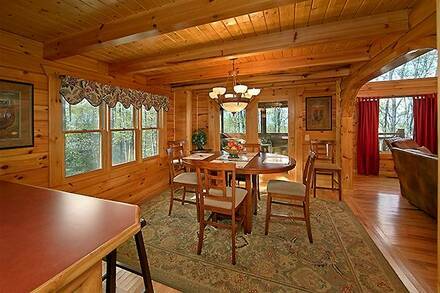 Behind the living room is an elegant dining room with a series of windows to let in natural light. 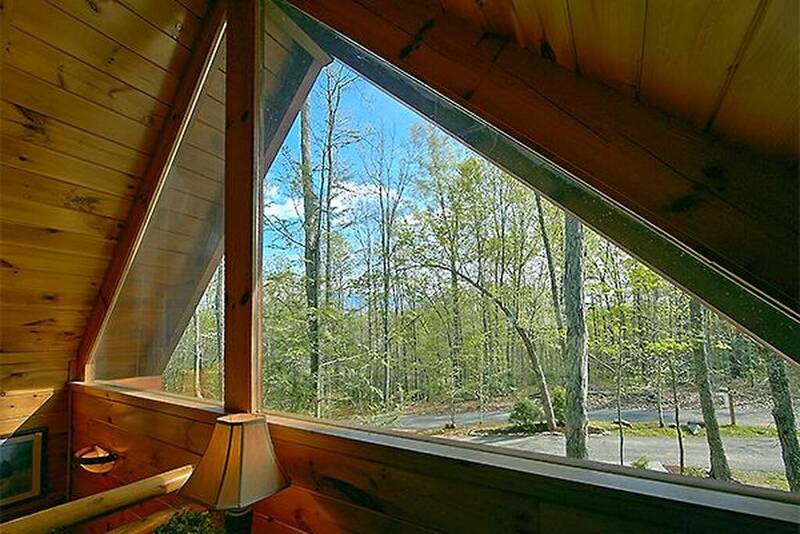 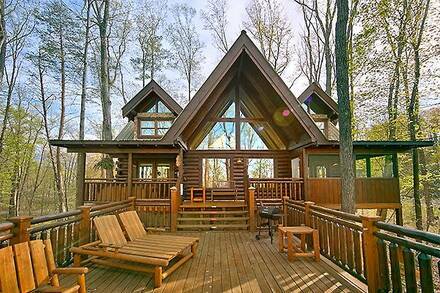 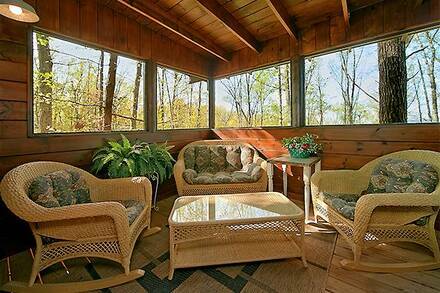 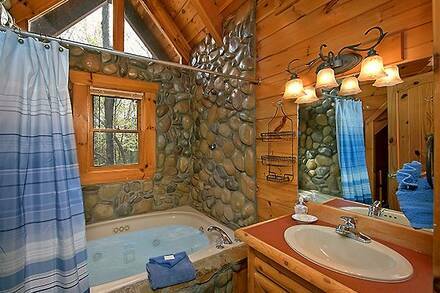 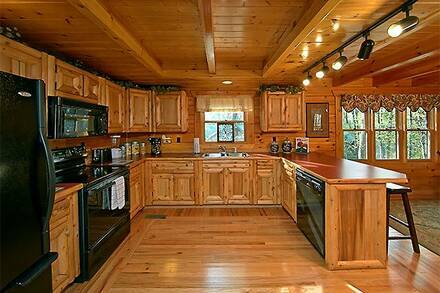 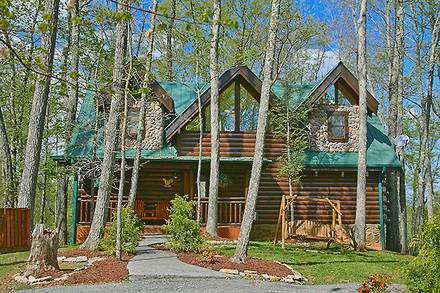 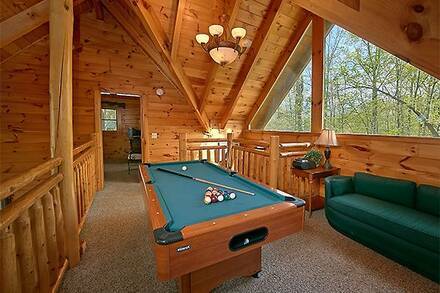 In the far corner of the cabin is an enclosed sun room with wall-to-wall windows to enjoy the sun in summer or winter. All three bedrooms are master suites with their own private bathrooms and jacuzzi tubs, which makes this a popular spot for a couples’ trip. A game room upstairs has a pool table and arcade system, but with the amazing back patio you will want to spend as much time outside as possible. 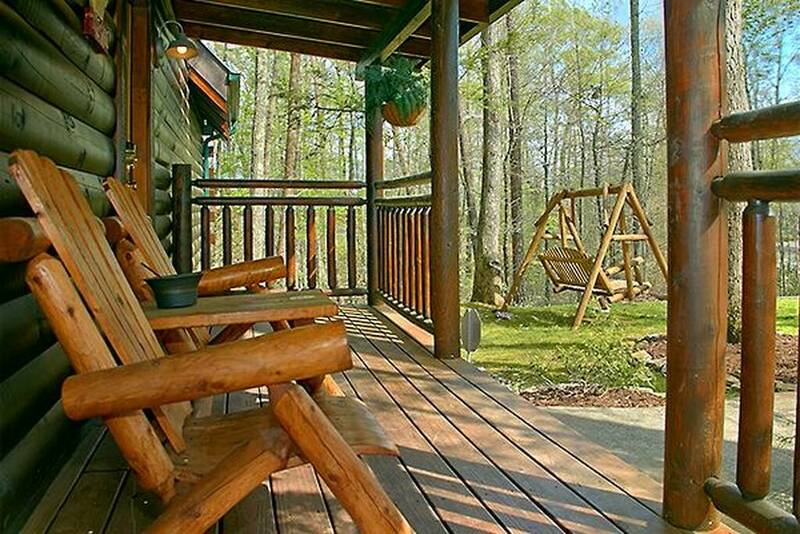 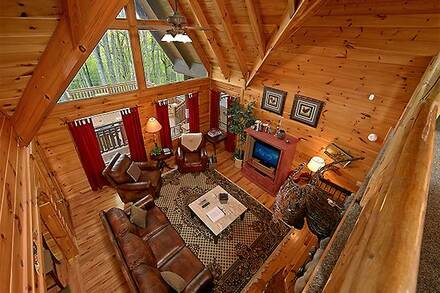 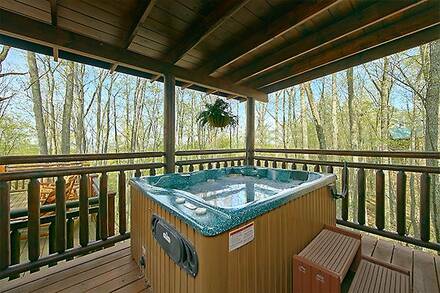 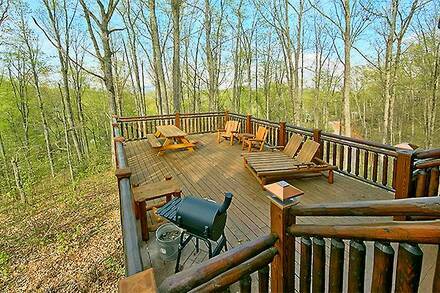 Many cabin rentals in the Smokies have a back porch, but Rise N Shine shows off with an enormous multi-level patio that includes log recliners for sun-bathing, a picnic spot, and a hot tub. 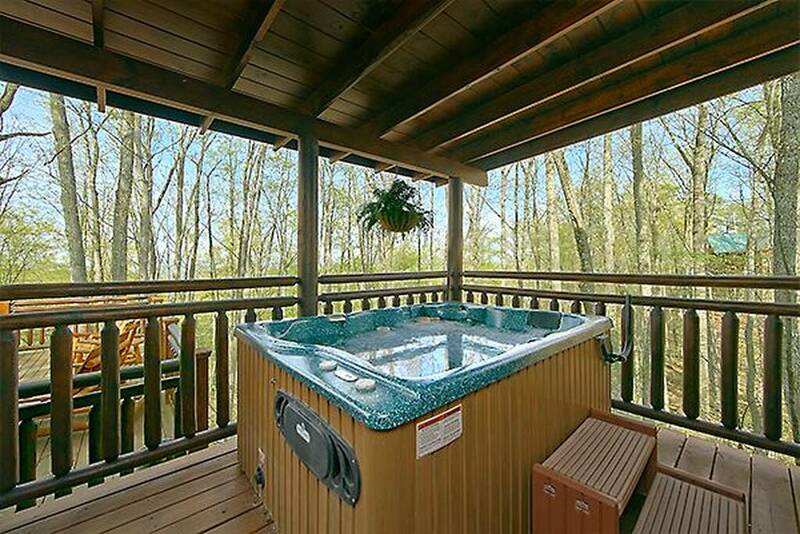 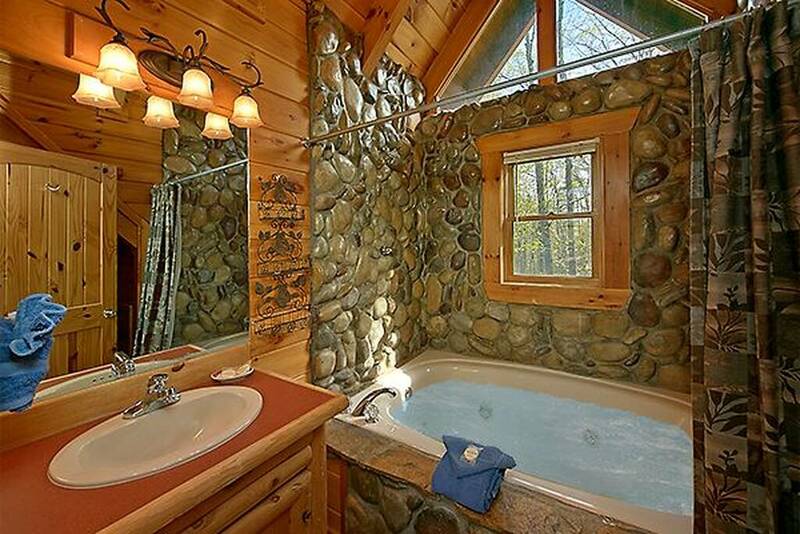 Great for soaking in the sun in the warmer months, it is a peaceful spot in winter as well, when the steam rising off the hot tub leads your eyes upward to the amazing night sky. In addition to its impressive amenities, Rise N Shine is near all the attractions of the Smoky Mountains, so reserve now while it is still available!